It’s hard to take a trip to your local game store and not see the massive shelf full of volumes from Fantasy Flight Games’ Star Wars RPG. Three core rulebooks, adventures, supplements, and many decks of cards later, this system has evolved into one of the most developed and prolific titles on the market. 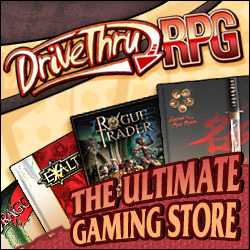 It’s also a regular on the top-selling RPG products lists. We’re looking at the three core books in the series: Edge of Empire, Age of Rebellion, and Force and Destiny. While all three books share a core set of mechanics, each explores a very different part of the Star Wars universe and its associated aliens, ships, and adventure. This review is for all three books since it’s the only way to get the full picture of what Fantasy Flight accomplishes with their series, and the ways that they build interesting and richly detailed characters for both players and the GM alike. What is Star Wars RPG? The Star Wars RPG (SWRPG) system takes place during the timeline of the original trilogy of movies, and it consists of three core lines of products, each differentiated by a color. White books belong to the Edge of Empire series, set in the outer rim of the explored universe and where you would expect to find scoundrels, bounty hunters, and a lack of Imperial presence. Red books belong to the Age of Rebellion series, set in the thick of the Rebellion against the Empire, and it’s the more military-minded campaign setting that takes place primarily in the core worlds. Finally, you have the Force and Destiny series, indicated by the color black, dedicated to the fan-favorite Jedi, who are still alive and hiding from the extermination efforts of the Empire. You are not restricted to selecting just one playground either, as the systems are designed from the ground up to be fully compatible with each other. A core set of mechanics governs all play, while each book adds specific modifiers depending on the subject matter. The focus of SWRPG is narrative storytelling, and it sets up grand cinematic moments regularly, which captures and re-creates the magic of the Star Wars universe. Character creation in SWRPG is streamlined to focus heavily on your character’s background, forming narrative hooks for use during play. The first step is to determine your character’s background. This is handled a bit differently in the three systems. In Edge of Empire, you focus on what life was like in the Outer Rim. Generally, this creates a background that starts with either a lower or middle class upbringing, and gives your character many opportunities to form the trials and tribulations that has shaped his/her personality and outlook. Life in the Outer Rim is harder than in the core worlds, so poverty and strife will most likely be a part of it. On the other end of the spectrum is the Age of Rebellion and the relatively easy life had by most people in the core worlds. Here, backgrounds focus on the reasons that pushes them towards the Rebellion, and how they developed their opinions towards the Empire. Many of these backgrounds include extensive education opportunities due to the higher availability of schools in the regions. Finally, in Force and Destiny, the backgrounds deal with the life of a force-sensitive character in the Empire-controlled universe. These backgrounds deal more with local cultures, with a range of technically-savvy to primitive backwater worlds. These characters have had to deal with being different, all the while controlling (or containing) their burgeoning power, whether it’s the light or dark side. All the while, they have to remain secretive, as the Empire and its spies are always on the hunt for force-sensitive beings. In all three systems, the compulsions that you choose for your character directly influence their starting stats, XP to spend, and credits and equipment available to them. For example, if a character accepts an 10 extra points of obligation during setup, they get 2,000 extra credits to spend. These points are important, because the GM will use these obligation points to generate a table. At the beginning of every session, the GM will secretly roll against this table to determine who, if any, of the players will have their obligation triggered. During the session, this triggered obligation will at some point manifest in some way. Perhaps that Hutt crime lord grew impatient and sent a collection agent after the party. Or perhaps a rebel pilot has a flashback of his family’s murder during a crucial moment, setting off an encounter. The GM has the flexibility to choose how and when these obligations trigger, and also provides them with fantastic storytelling tools. The next step is selecting a species. Each of the core rule books comes with eight species to choose from, although some of the species are represented in more than one book. Humans, for instance, are the most common species in the galaxy, so they’re represented in each book. In addition, there are numerous other species in each of the many, many supplemental books, representing both those seen in the movies as well as those in the extended universe. After selecting your character’s species, you then choose a career and a specialization. A character’s career is roughly equivalent to a character’s class in a typical role-playing game, i.e. what is their role within the group. The specialization they choose unlocks a skill tree which lets them gain specific skills as they level. For example, the Bounty Hunter career in Edge of Empire can specialize as an Assassin, Gadgeteer, or Survivalist. Assassins are masters of the shadows that launch precision attacks while hidden from notice, Gadgeteers are able to ”Macgyver” their way out of any situation using items in the environment, and Survivalists are masters of the wild who hunt their prey like deadly predators. Many supplement books focus on a specific career and give further specialization trees beyond those in the core book. Careers vary vastly from system to system, but they interact and balance out not just within a specific system but across the full line of products. Regardless of what system you choose, nothing should stop you from mixing and matching specializations, short of story-based restrictions placed by the GM. After selecting a career and specialization, your characters will need to spend their starting XP. Starting XP is determined by species as well as their background obligation/duty/morality. You can spend XP to modify a character’s characteristics (i.e. stats) since character creation is the only time you can do so. You can also spend XP on skills or on talents in your chosen specialization’s talent tree. During the game, players can buy other specializations but at a much higher XP cost. Based on all the previous choices, it will determine your character’s starting attributes. This involves calculating their wound threshold (their lifebar), strain threshold (psychological and mental lifebar), defense (how hard they are to hit in combat), and soak values (how much incoming damage is negated by toughness). Next, you select your character’s motivations. These are the primary drivers of the character’s personality. Are they motivated by greed, status, or revenge? Are they driven to alleviate the surrounding poverty? These selections will power their quirks and differentiate them from other characters, not to mention they will give the GM even more tools to work with when crafting cinematic moments for the players. Finally, your character will select their starting gear and appearance based on their starting credits and their availability as determined by the GM. Generally their starting budget is 500 credits, but this can be modified by obligation/duty/morality. Charts within each book provide base costs for gear and equipment. The SWRPG core mechanic revolves around the concept of building dice pools and using it to drive the narrative. There are seven dice in the SWRPG system: Green ability dice (d8) and yellow proficiency dice (d12) represent skills and training. When building a dice pool, the player chooses a skill. Based on the value of their skill and characteristic, the higher of the two determines how many ability dice are added to the pool. The lower value allows the player to upgrade that many ability dice to the more favorable proficiency dice. The GM then assigns a difficulty for the task at hand. Difficulty is controlled by purple difficulty dice (d8) and red challenge dice (d12). Base difficulty determines the number of difficulty dice in a pool, but based on skills, enemy skills, environmental aspects, etc, you can upgrade the difficulty dice to the less favorable challenge dice, then add blue boost dice (d6) or black setback dice (d6) to their pool. Force characters will also add a white force die (d12) that will determine how much light and dark side force will be available for them to spend on skills. After assembling the dice pool, players roll and tabulate results. Ability, boost, and proficiency dice have two symbols on them, indicating success and advantage. Difficulty, setback, and challenge dice also have two symbols on them, indicating failure and threat. Failures cancel out successes. Threats cancel out advantages. Proficiency and challenge dice each have a third symbol on them called triumph and despair respectively, though, unlike the others, they do not cancel each other out. It only takes one net success to be successful on a given skill check. One or more success and the character succeeds on the skill check. Based on the final number of successes, you and the GM can negotiate the end result, usually something advantageous to the party. Having zero or less net successes results in bad things happening to the character or party as determined by the GM. Triumph is a huge boon to the player (for instance, Luke hitting the exhaust port with his proton torpedoes), while despair is a huge blow to the player (such as Luke getting his hand chopped off). I really, really like SWRPG. This system lends itself well to huge, cinematic moments that perfectly reflect the Star Wars universe. Character creation is intuitive and gives both GMs and players plenty of narrative hooks to tell a fun and exciting story. It provides a diverse selection of species and specializations which allows players to make a specific and unique character. And if the core books doesn’t have what you’re looking for, the rich and varied additional supplements will most likely fill that need. The dice checks can sometimes result in calamitous outcomes because of triumphs/despairs and advantages/setbacks. This has caused a small bit of frustration in some players I have spoken with, but with a good GM, they will instead be a source for inspired storytelling. The only other complaint I’ve heard is that for groups not using maps and miniatures, the abstract combat system based on range bands can be somewhat confusing. 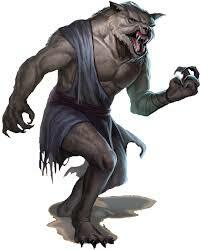 For players who have grown tired of crunchy, finicky rule systems (looking at you Pathfinder! ), this system is a relaxing change. It focuses on narrative and adventure and promotes storytelling from the players as well as the GM. This has, in my experience, made for games that play quickly and are engaging, and it really captures the feeling of Star Wars. I highly encourage you to witness for yourself the firepower of this armed and fully operational RPG system!